ECIL Recruitment – 2018 announces the post of ECIL Jobs. This recruitment notification has been announced on their official website. Through this recruitment notification, ECIL plans to recruit B.E. 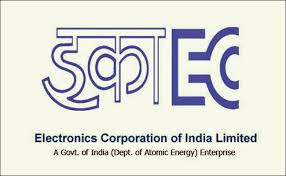 / B.Tech, ITI qualified candidates for this post of ECIL Jobs. So that the interested candidates can apply the job of ECIL. The deadline of the post has been fixed on 29.09.2018. After this last date 29.09.2018 no more application will be considered for this vacancy of ECIL. ECIL hiring the 506 candidates for the post of ECIL Jobs. So, qualified candidates can apply for the post of ECIL Jobs by filling the Online application form. The application form will be available in ECIL website. If candidates have any doubts about this online application form, please refer our Application procedure below. Who are all interested and eligible for the post are requested to submit your application on or before the last date of ECIL examination. Applying candidates are requested to fill their details in online Application form with utmost care and verify before submitting the form because certain fields are fixed and cannot be edited. The ECIL will be conduct the exam for the post of ECIL Jobs on . The interested candidates can apply the job for the post of ECIL Jobs throw Online mode and the application will be posted to the ECIL on or before 29.09.2018. The candidates should attach the certificates copies, passport size photo copy along with that application. 3-year full time Diploma in any discipline with at least 60% aggregate marks from any institution recognized by the State Board of Technical Education. Post qualification relevant industrial experience will be an added advantage. 5 years for SC/ST; 3 years for OBC and 5 more years relaxation for PWD Category for post 1 and 10 years for post Nos.2 & 3. Reservation / concessions for candidates belonging to SC/ST/OBC & PWD categories would be made as per Government directives The Nos. of posts notified for post no. 2 and 3 will be interchangeable in case of nonavailability of the candidates in respective categories. The selection process will be through a written test / interview. The written test/ Interview will be held at HYDERABAD only. Details with regard to date, time and venue of written test etc., will be communicated later by e-mail. Eligible candidates have to apply „ON-LINE „through website Official website Click Here for getting connected to advertisement details and online application or alternatively apply through our website:“www.ecil.co.in”by selecting „Careers‟ followed by „e-Recruitment‟. The on-line application process will be operational from 21.09.2018(1400 hrs.) to 29.09.2018(1600 hrs.).
" Personnel Manager-Recruitment Personnel Group, Recruitment Section ELECTRONICS CORPORATION OF INDIA LIMITED ECIL (Post), Hyderabad – 500 062, Telangana State "